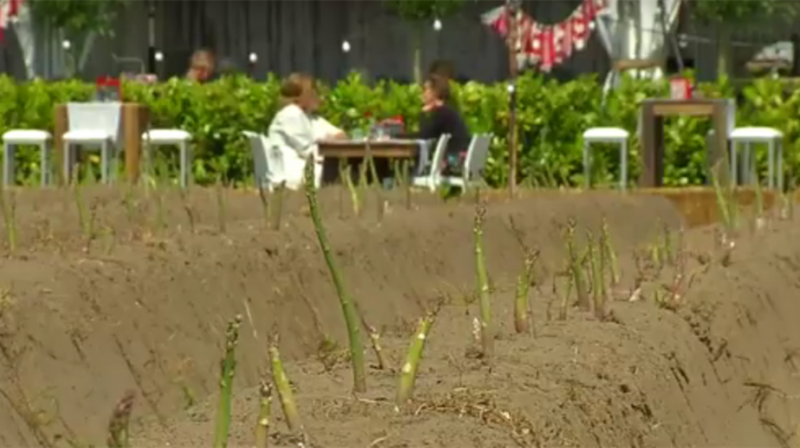 The fifth edition of the Asperges op de Velden (Asparagus in the Fields) event will not take place in Nuenen but in Veldhoven. The pop-up restaurant is to move to a new location. The restaurant is to be set up, for this fifth-anniversary edition, in the John Kelders Asparagus nursery’s fields in Veldhoven. In particular, this venue is a lot more spacious than Raaijmakers Hoeve in Nuenen where the event has taken place every time so far. There is more space to ‘set the restaurant up more creatively’, the organisers give as a reason for the move. There is also more parking space in the neighbourhood. This year, Asparagus in the Fields will be held from 15 to 30 May.